and more in this fast-paced RTS! Jupiter's Forge takes you to the volcanic moon of Io, where life is much harsher than it was on Mars. about making life work on Mars if you want to survive. New Resource System - Io has plenty of power sources, but lacks certain basic human elements necessary for life - like water. for creating and purifying sources of water and other basic needs. environment of space gets the better of you. adversaries do and prove to everyone that money talks: you made your business work on Mars, and you can make it work on Io, too. New Faction: Diadem Trust - An elite business group with grand visions, they are ready to crush any other corporation that gets in their way. nothing to them - they can purchase a patent even if it's already been claimed by another player. It's all legal, they assure you - read the fine print. more resources. When a claim is no longer necessary, the Collective simply trades it in for a more profitable spot. 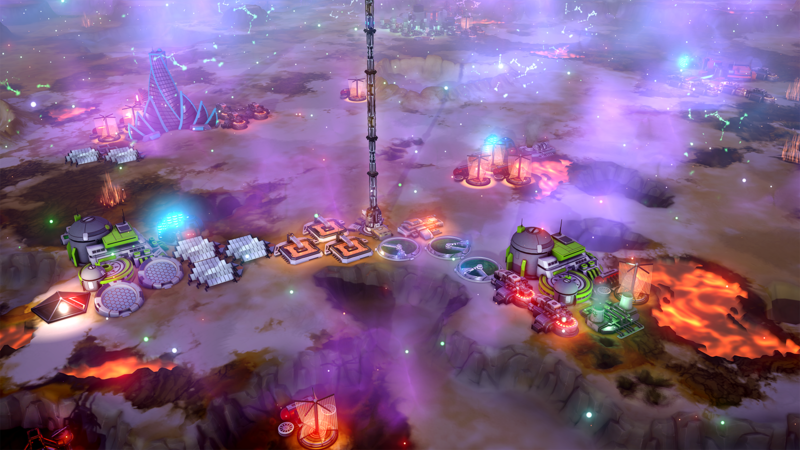 Offworld Trading Company: Jupiter's Forge will be available as a bundle for $29.99 at Stardock or Steam on release day. To learn more, please visit our community forums and subscribe on Reddit. Add Jupiter's Forge to your Steam wishlist today!